Amazon.com designed and marketed an e-book reader called the Amazon Kindle. The device enables users to shop for, download, browse, and read digital media, such as e-books, newspapers, blogs or magazines via wireless networking. 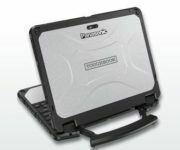 Kindle hardware has evolved significantly from the original Kindle, introduced back in 2007. It was followed by the Kindle DX line, which was introduced in 2009. Devices now include Kindle Keyboard, Kindle Paperwhite, Kindle Fire (a tablet computer with a reader app and a color display) and many more! Kindle software can be used on various devices and platforms, including Microsoft Windows, iOS, BlackBerry, Mac OS X (10.5 or later, Intel processor only), Android, webOS, and Windows Phone. Amazon also has a “cloud” reader thta allows users to purchase and read Kindle books from a web browser. Content for the Kindle can be purchased online and downloaded wirelessly. You can use either standard Wi-Fi, or Amazon’s 3G “Whispernet” network, which is accessible without any monthly fee or wireless subscription. Fees can be incurred however, when delivering content while roaming internationally or outside of the customer’s home country. Through Whispersync, customers can synchronize reading progress, bookmarks, and other information across Kindle hardware as well as other mobile devices. A book may be downloaded from Amazon to several devices at the same time. The devices sharing the book however, must be registered to the same Amazon account. A sharing limit typically ranges from one to six devices, depending on an undisclosed number of licenses set by the book publisher. When a limit is reached, the user must remove the book from one device, or unregister a certain device containing the book, in order to add the book to a different device. 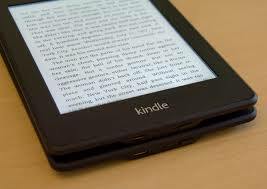 We would like to remind you that Kindle devices do not support the EPUB file format used by many other e-book readers. Instead, they are designed to use Amazon’s own e-book formats: AZW, and, AZW3 (In fourth generation and later Kindles), also called KF8; which is intended for reflowable, richly formatted e-book content and supports DRM restrictions. Amazon also offers an email-based service that will allow users to convert GIF, PNG, and BMP graphics to AZW. 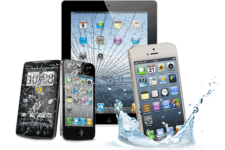 Best place to sell your used tablet online. Free shipping. Top cash guaranteed. As far as I can see, a Mini Tablet computer, such as iPad Mini can easily handle Kindle (this line of mini tablet computers designed by Apple is a sub-series of the iPad line of Apple tablets, with a reduced screen size of 7.9 inches). I think the first generation of iPad Mini, which was released on November 2, 2012 could not work with Kindle. As this tablet’s features are similar to the internal specifications to the iPad 2, including its display resolution, it had the some issues with the reading of Kindle files. You could elaborate these aspects.